David Wahl has designed this ‘exploding’ pendant lamp for the upcoming IKEA PS Collection 2014 and it already appears to be the highlight piece – not that I’m belittling the other great pieces pieces from the collection, but its easy to see why this transforming pendant lamp will likely go on to become an IKEA bestseller. 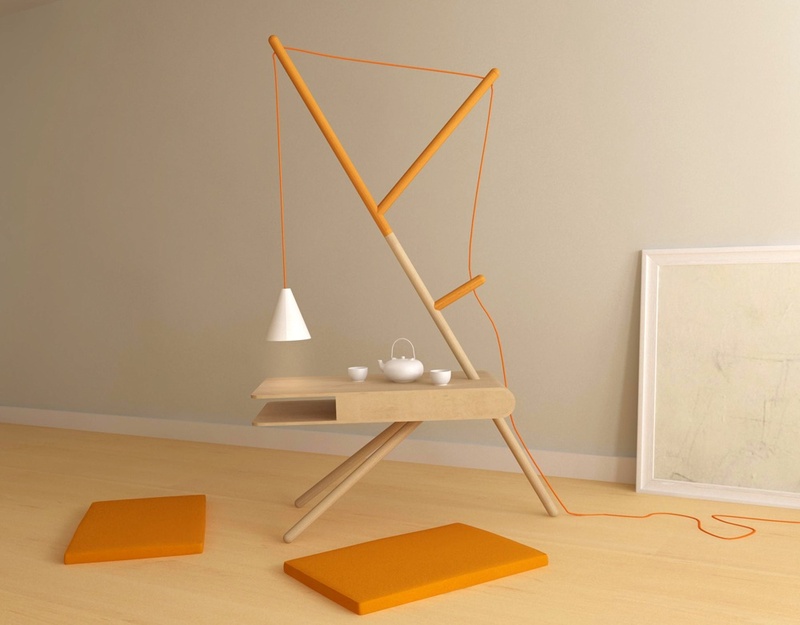 Its unique design is not only functional, it’s also very playful, and will prove to be popular amongst adults and children alike – plus it has a price tag of just £50 ($70 / €50)! The Exploding Pendant Lamp is transformed from a glowing fissured sphere to a complex mass of suspended panels by pulling on a simple drawstring. This might at first glance seem like a bit of a gimmick but it’s actually a highly functional aspect to the design and meets the brief of the 2014 IKEA PS Collection very well. Being able to close up what is a pretty fragile looking structure into a compact ball will prove to be really handy when it comes to moving house, which city dwellers and students often have to do without cars. Dimmer switches are a luxury not often afforded to basic city apartments, student accommodation included, but the transformative nature of the pendant lamp in itself serves to dim it. 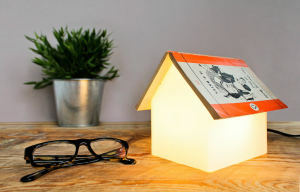 This gives the user a choice between having a bright light when its fully opened, or a glowing ambient lamp when closed – and of course a multitude of different light levels in between. As with all the lights from the IKEA PS Collection 2014, this pendant lamp will make use of LED lights, which use 85% less energy than incandescent bulbs while also lasting a lot longer. The outer panels of the Exploding Pendant Lamp are composed of white polypropylene plastic but the rods on which they’re attached will be available in two different colours: turquoise or orange. Given that LED lights tend to give out a whiter (some would say colder) light than traditional bulbs, I’d probably opt for the orange colour option to make the light appear warmer. The PS 2014 Pendant Lamp is perhaps to an extent emulating the success of the Maskros Light by Marcus Arvonen from the 2009 IKEA PS Collection. 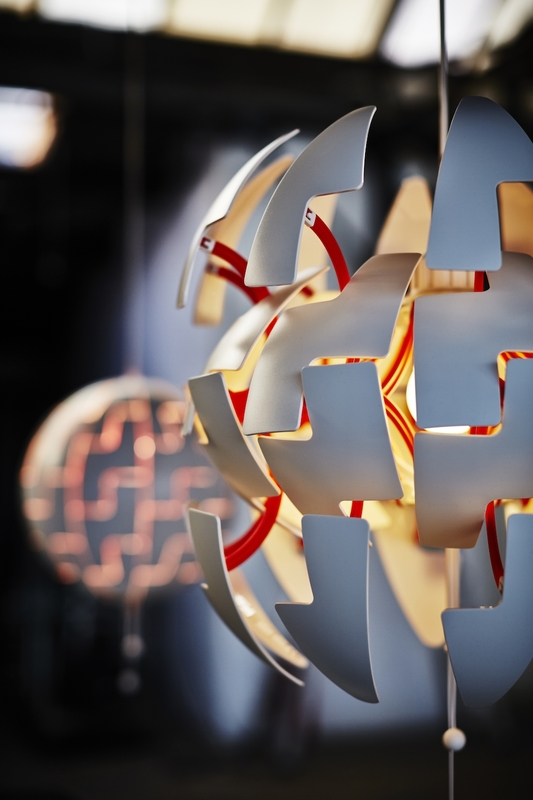 This unusual pendant lamp became one of the most iconic Ikea PS designs and also had an ‘exploding’ look to it with one user on Houzz likening it to a supernova, albeit a very flowery one. 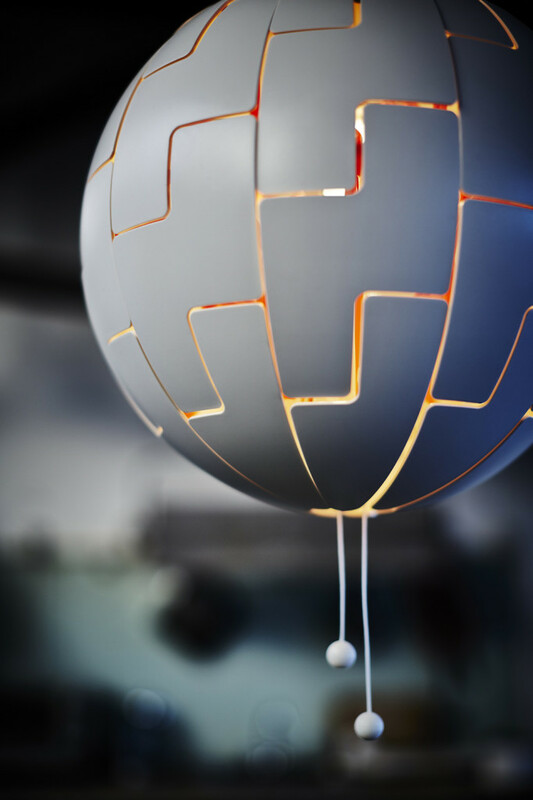 The Exploding Pendant Lamp from PS 2014 likewise has a distinctly ‘space-y’ feel and David Wahl himself stated that he was inspired by science fiction and video games. The parallels between the death star (which has a tendency of exploding) or even the floating Jedi Training Robot seen in the original Star Wars film are obvious. The sci-fi connotations are particularly apt given that this lamp will be ‘hovering’ in the middle of a room like a mothership or sentry drone. There are also clear similarities in form between the ‘exploded’ position of this light and Poul Henningsen’s iconic PH Artichoke pendant lamp. However it’s worth noting that while the unique shapes of Henningsen’s PH lamp shades were specifically intended to distribute light evenly, this pendant lamp is instead designed to cast a patterned shadow over the surrounding walls. What’s more Henningsen’s lamps didn’t transform! 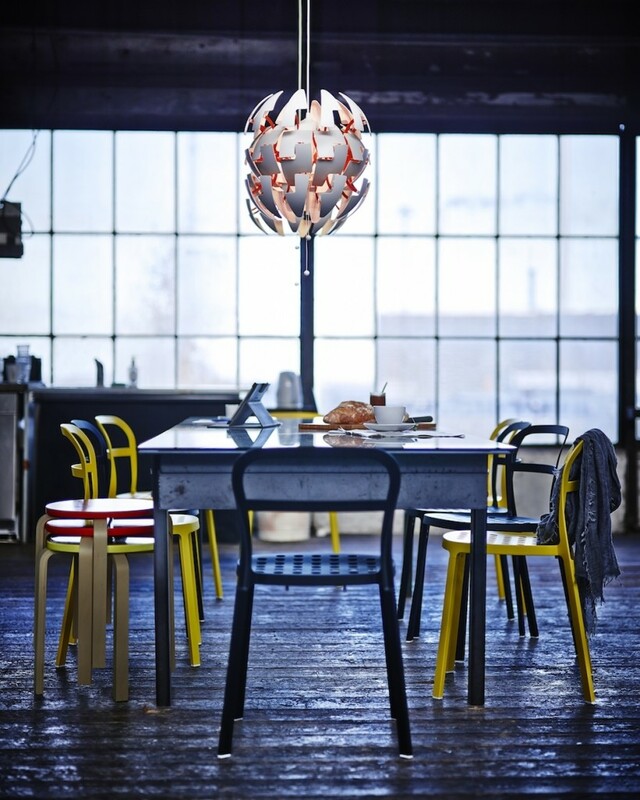 The Exploding Pendant Lamp by David Wahl will be going on sale in IKEA stores as part of the 2014 PS Collection from the 1st of April onwards – and no I don’t think Ikea would put this much effort into an April Fool’s joke. 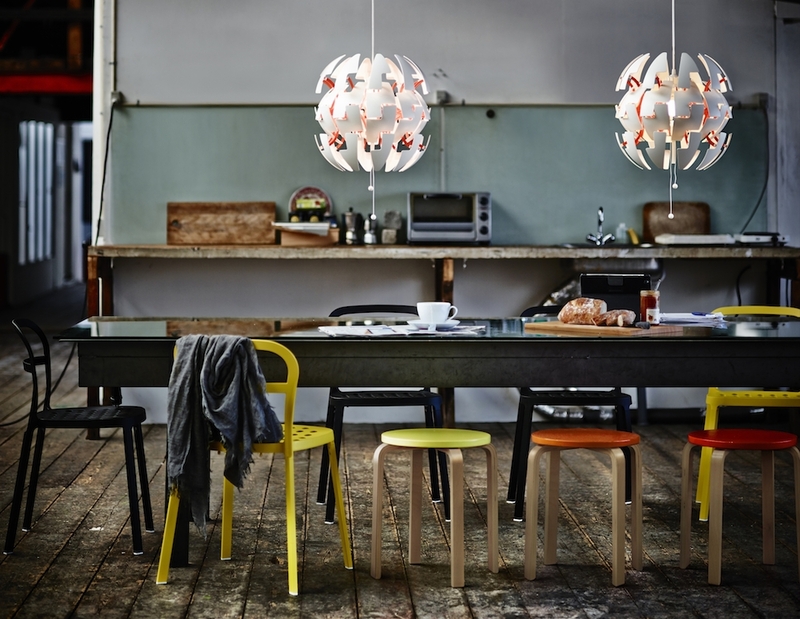 UPDATE: The IKEA PS 2014 Pendant Lamp White, Orange is now online on the UK Ikea site and you can view it here. A pricetag of 50€? Hard to argue it would fit in basic city appartements, to substitute for a expensive dimmer, since a dimmer would be a fraction of that price. 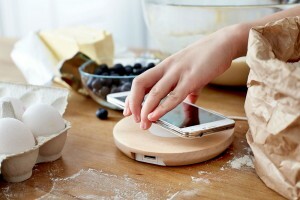 Its a nice design nonetheless, but overpriced for the used materials and appearance. I just saw this lampshade in Ikea Bristol tonight ahead of their release (no stock under the two demo units) – Its about the size of a basketball and I have to say it is very impressive indeed – If you like sci-fi looking stuff then it ticks a lot of boxes and the opening mechanism is really technical looking inside. I know where I’ll be going on 1st April ;-) The Turquiose one is a little more subtle, pale blue almost…but the orange looked really smart. 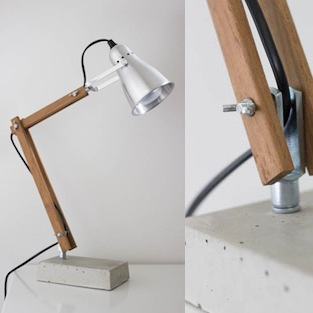 Thanks for sharing your insight on the exploding pendant lamp. I haven’t been able to get to an Ikea store to take a look for myself yet but glad to hear the light looks as good in person as in the pictures. Did you see any other items from the PS 2014 Collection while you were there? The triangular shelf is my favourite piece from the collection but all sources I’ve seen have just indicated from the 1st of April onwards so it might take a while for the most highly anticipated items to become available. I think the floor/phone staff often aren’t all that interested in the design of the products and probably don’t get told much from above. 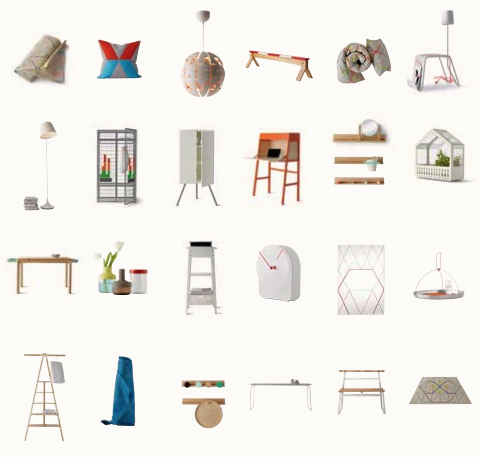 PS designs have a history of being outlandish and I doubt Ikea would be willing to put this much effort into an April fools joke – I hope not anyway. There are definitely similarities in how they function but that’s like saying that all lights with cylindrical fabric shades are copies of each other. That design on Behance was only published in February 2014 whereas the IKEA PS Collection 2014 has been in the works for years. It takes quite a lot longer than 2 months to develop a light shade and get it into the stores of a global giant like Ikea.